For most people, a kitchen can also be considered as a makeshift family room, where people can hold family meetings or just casual small talk, it seems that people are more comfortable to talk to someone when food or drinks are available in the area. 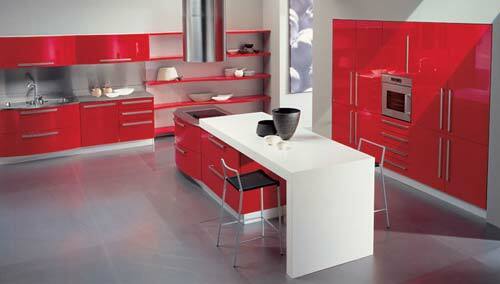 Italian kitchen design has come a long way to meet the trend of the times. This idea what sparked some interior designers when it comes to having kitchens the Italian style. For the most part, the basic elements of an Italian kitchen of 40 or 50 years ago is having a large table where everything is prepared from chopping up meat, vegetables and other things like kneading noodles. Anything else like an iron stove and oven and racks would come in on a close second. Today, modern Italian kitchen design still has the basic principle, which is it doesn't matter how big or small the workspace. For other designers, they concentrate on getting in as many shelves and creating a more Old World style by introducing polished wood or having a mahogany table at the center. 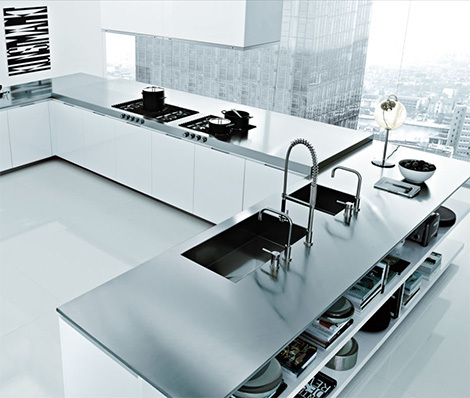 Countertops are meant to place various objects for cooking, and would only keep it that way. The center table can been redesigned in such a way it could also serve as the main sink, with various compartments to place plates, pots, pans and various utensils. Hooks are also aligned near the stove area, which can be accessed easily to pull out potholders, some knives and the like. It's all about cramming all the space in the four sides of the wall with various shelves, cupboards, and enough space to place the necessary appliances. There have been various means and designs that would allow small kitchen areas to be made with as little room as possible, plus decorating the wall with a few objects that gives Italy its flavor. A small area to store wine is also used, although not necessary for some designers and would opt to having a wine cellar of it's own. But the general aspect is to allow more free space on the floor to place a small dining table for everyone to use.